Home / Blog / Why Did the Mouse Cross the Road? To get into your house of course! You might be loving the weather right now as it seems a welcome reprieve from sweltering, sweaty summer. You’re probably enjoying pumpkin spiced lattes and thinking about Halloween costumes, browsing Pinterest for fun Fall crafts and appreciating the changing leaves. You’re not the only one who’s noticed the change in seasons. Mice and other animals are getting ready for winter. They may not be boasting on social networks about how much they love #SweaterWeather, but that doesn’t mean they don’t love your sweaters! Rodents need to find a warm place to hunker down and wait out the cold weather. Oftentimes, that place is inside someone’s nice and cozy home. Mice love nesting in a dryer vent where they are protected from the elements and have a heat source nearby to make sure they are comfortable. Behind fridges or ovens are also popular rodent hangouts; every crumb and morsel that is dropped and left behind makes a mouse feel like he is in a 5 star restaurant with excellent service. If running a rodent resort free of charge isn’t what you had in mind this winter, we have a plan of action for you. You don’t have to be a Scrooge just to get rid of mice. Using natural rodent repellent can actually help bring out the holiday spirit since it uses the Christmasy scent of balsam fir essential oil to repel rodents. Rats and mice have poor eyesight but a highly developed sense of smell. They leave scent trails to mark the way to food sources and safe places. The scent of balsam fir overwhelms their susceptible olfactory senses, making it difficult for them to follow the scent trails they rely on or to sense danger. For the sake of self preservation, they will flee the area. Getting rid of mice naturally is safe, easy, and effective. 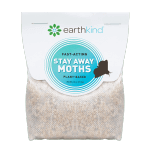 You are free from worry about having poisonous pesticides in your home, endangering your family and pets. You will never need to deal with an animal caught in a trap. 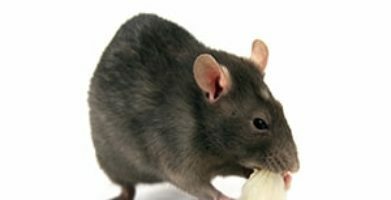 There won’t be any dead rodents decaying in some hard to reach place, stinking up your house. Placing these ‘mouse pouches’ is a breeze – just put 1 pouch per every 125 square feet to prevent rodent problems before they begin. Replace the pouches when the scent has diminished, about every 3 months. 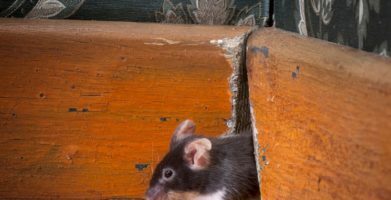 If you are clearing out an existing infestation, you may need to increase the pouches to as many as 1 per 8 square feet until the rodents have evacuated, and then you may scale back to the preventative use guidelines. After you set out the pouches, you can get back to what really matters, Instagramming sweaters, scarves, and pumpkin inspired recipes, complete with the obligatory #FallingForFall hashtag. To get into your house of course! You might be loving the weather right now as it seems a welcome reprieve from sweltering, sweaty summer. You're probably enjoying pumpkin spiced lattes and thinking about Halloween costumes, browsing Pinterest for fun Fall crafts and appreciating the changing leaves. You're not the only one who’s noticed the change in seasons. Mice and other animals are getting ready for winter. They may not be boasting on social networks about how much they love #SweaterWeather, but that doesn't mean they don't love your sweaters! Rodents need to find a warm place to hunker down and wait out the cold weather. Oftentimes, that place is inside someone's nice and cozy home. Mice love nesting in a dryer vent where they are protected from the elements and have a heat source nearby to make sure they are comfortable. Behind fridges or ovens are also popular rodent hangouts; every crumb and morsel that is dropped and left behind makes a mouse feel like he is in a 5 star restaurant with excellent service. If running a rodent resort free of charge isn't what you had in mind this winter, we have a plan of action for you. You don't have to be a Scrooge just to get rid of mice. Using natural rodent repellent can actually help bring out the holiday spirit since it uses the Christmasy scent of balsam fir essential oil to repel rodents. Rats and mice have poor eyesight but a highly developed sense of smell. They leave scent trails to mark the way to food sources and safe places. The scent of balsam fir overwhelms their susceptible olfactory senses, making it difficult for them to follow the scent trails they rely on or to sense danger. For the sake of self preservation, they will flee the area. 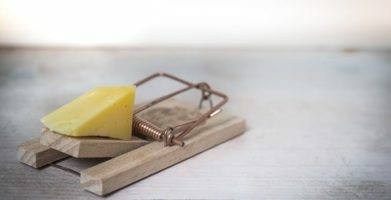 Getting rid of mice naturally is safe, easy, and effective. 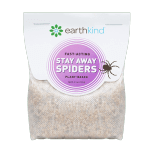 You are free from worry about having poisonous pesticides in your home, endangering your family and pets. You will never need to deal with an animal caught in a trap. There won't be any dead rodents decaying in some hard to reach place, stinking up your house. Placing these 'mouse pouches' is a breeze - just put 1 pouch per every 125 square feet to prevent rodent problems before they begin. Replace the pouches when the scent has diminished, about every 3 months. 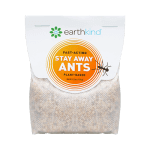 If you are clearing out an existing infestation, you may need to increase the pouches to as many as 1 per 8 square feet until the rodents have evacuated, and then you may scale back to the preventative use guidelines. string(33) "Why Did the Mouse Cross the Road?"